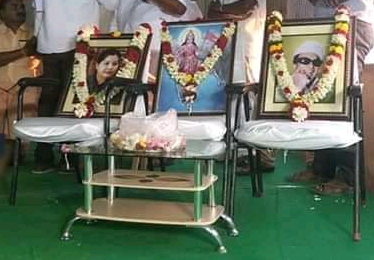 Take a close look at the photo arrangement on an NDA public meeting dais in poll bound Tamilnadu. In the middle it is Bharat Mata holding aloft the Bhagawa Dwaj. To her left is MGR and to her right Jayalalithaa - both yester year leaders of AIADMK. It is an AIADMK – BJP alliance in the state. So, pictures of AIADMK leaders is ok. But what does Bharat Mata picture do there? No passerby asks “To which temple this Amman (Bharat Mata) belongs?” Everyone is well aware that she is the devata for Desh bhakti indicating a welcome change in the polity of the state. Though AI in AIADMK stands for “All India”, the party cadre possibly found Bharat Mata as the personification of the idea of a pan India reach. Not alone Bharat Mata, every aspect of nationalism and patriotism associated with her is the ‘in’ thing in Tamilnadu. Take RSS. “Once it was here and there in the state. Now it is everywhere” lamented late Karunanidhi once, betraying the fact that RSS is very much welcome here, in spite of decades of dinning separatist jargon into the ears of the Tamils. Particularly the service activities of Swayamsevaks have endeared Sangh to the Tamils, as never before. “Let's destroy temples and build Buddha Viharas” - this was Thol.Thirumavalavan, Leader ,VCK Party, 2 months back. “Please vote for us. We are all inclusive” - this is Thol.Thirumavalavan, his forehead smeared with vibhoti inside Chidambaram Temple, during his campaign trail. Despite all the venom on Sanatana Dharma spewed by him in his party meeting themed "Destroy Sanatana Dharma", he was welcomed with all respect by the Thillai Vazh Andhanar group (Hereditary Priests at Chidambaram Temple). The other side, the Islamists, on the other hand, were seen, blocking ADMK Minister Sellur Raju from entering a Mulsim majority area in Madurai. Reason, his party allied with Hindutva BJP. In another instance, BJP's Udayappa Devar was hit by Radical Islamists for campaigning with Ramanathapuram Candidate, Nainar Nagendran, in a Muslim majority locality in Periyapatnam. Christians are no less fanatic. A Christian organisation openly sends letters asking the laity not to vote for ADMK Alliance, as it is against Christian interests. This is just the tip of the glacier of what would happen once demographic change comes about. Meanwhile, Hindus are inclusive and naive, when it comes to elections, cinema, business, etc. The Abrahamic sections, on the other hand, see religion foremost in every aspect of life. How People in Tamilnadu Observe Days, Days And Days! Days and Days...! May 7 will be Akshaya Tritiya Day when Hindus pray for prosperity and offer daanam. (It was a handful of Poha (aval) that Lord Krishna received from a sincere Sudama. He relished this gift as a tribute to friendship, hospitality, and care. Sudama felt ashamed of asking any financial favour from Lord Krishna and returned home with a peaceful heart. On reaching home, Sudama got surprised to discover his poor hut had been transformed into a palace, so goes the Purana). Thus, the day of Akshaya Tritiya or Akha Teej is associated with material gains and wealth. A recent post in the social media appeals to Hindus to pray for plenty of water on Akshaya Trithiya day. “On the forthcoming Akshaya Trithiya day, place a Kodam or Kumbh filled with water on a Peetam at home and offer pooja to Varuna. Spread the word so that we are spared from water scarcity and drought,” the post appeals. 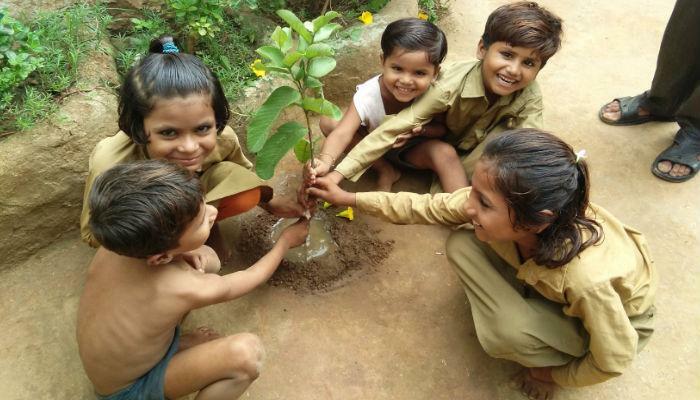 Now, see how another Day was celebrated: While others observed April Fools’ Day, a group of youths from Madurai celebrated the day as “April Cool Day” and distributed about 20,000 tree saplings among students of six colleges in Madurai city. Meanwhile, the department of Post in Chennai arranged planting of saplings in the premises of all the post offices in its jurisdiction on April one, terming it “April Cool Day”. On that Day, bowls and tubs filled with water were also placed near buildings of the department in several parts of the city, aimed at quenching the thirst of cows, dogs and birds. Now a piece of “hot” news: the mercury shot past 100 degree Fahrenheit in a dozen cities in Tamilanadu last week.